What does it mean to 'know' God today? 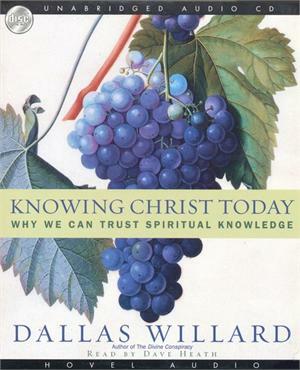 Philosopher and Christian leader, Dallas Willard takes the reader on an intellectual journey showing how our culture has downgraded 'spiritual knowledge' to something less than real, making many believers begin to doubt their faith or opt out of the culture altogether. Willard corrects this trend by explaining the case for seeing what the Bible teaches as 'true knowledge' and so provides a basis for how Christians can most effectively engage their cultures. Here Willard tackles the roles of science, reason, and faith in the Christian life and how believers should engage the church, work, and the entertainment culture we live in. In the end, much of what Jesus taught us is a new way to think and act; here Willard updates Jesus's message for our day and age.